In a Q and A Anthony Bourdain was asked if he could only eat a single cuisine for the rest of his life which cuisine would he choose...he chose Japanese. Japanese cuisine is more than sushi (although sushi is nothing to complain amount)...it's more than shabu shabu. While the cuisine is seafood heavy it spreads across a very wide range - at the most extreme edge of seafood is Fugu. Fugu is pufferfish and it's not renowned for its taste...it's renowned for containing enough poison to kill thirty people with a single bite. Thus eating isn't just about enjoying your meal, but also about surviving it. Japan is seafood centric but it's also home to one of the most famous cuts of beef in the world - Kobe. 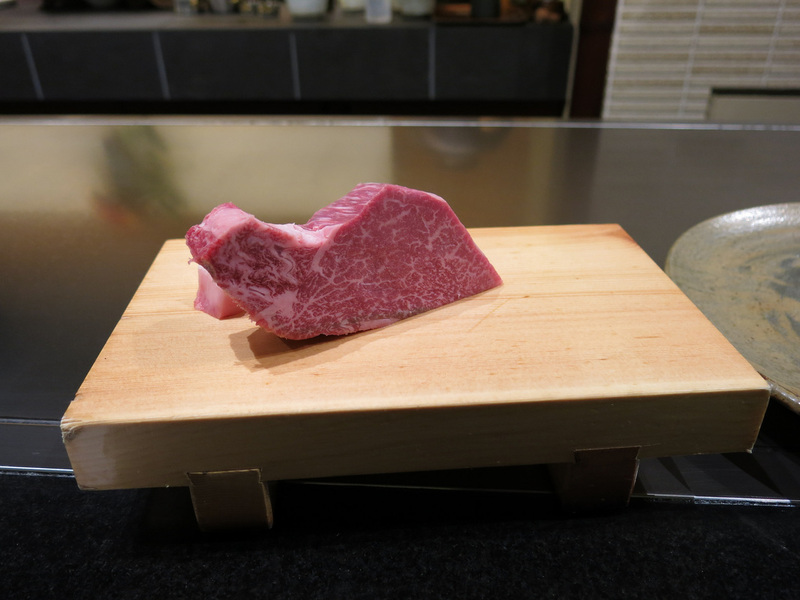 Export regulations have been lifted in recent years but the only way to ensure you are having Kobe Beef with an appropriately high level of grading is to visit a Kobe steakhouse. 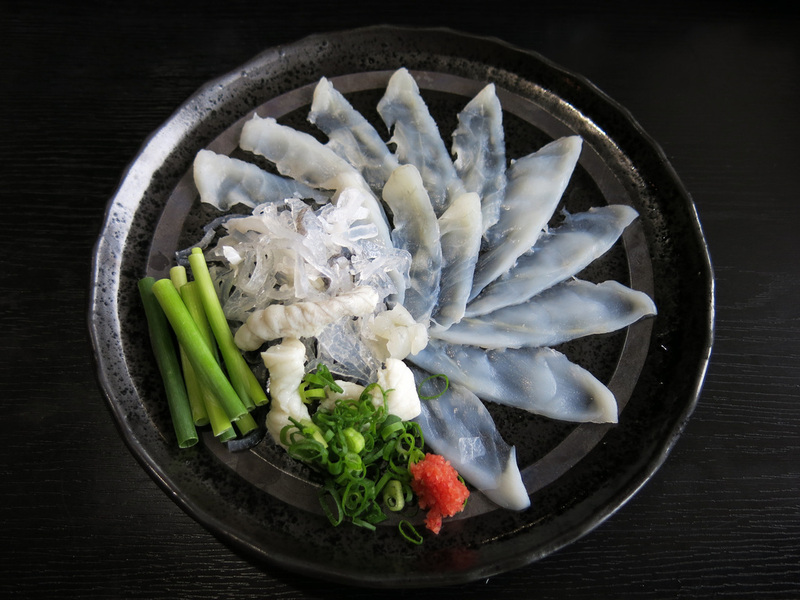 Fugu can be found throughout Japan but it's the most famous dish of Shimonoseki. The town has pufferfish manhole covers and stuff animals who's cuteness may cause you to overlook the fish's deadliness. Even worse the poison does not cross the blood / brain barrier meaning that retain conciousness while you're being paralyzed. Fortunately training is required to become a Fugu Chef and learn the proper way to fillet the fish without killing the diner. Fugu comes in various forms - sashimi, fried, soup, etc. - and a combo platter can be ordered in many Shimonoseki restaurants. It's a bit difficult to describe the taste because, supposedly, the poison numbs your tongue to the point that it can't recognize taste...which ironically does not make it an ideal choice for a last meal on earth. All I could tell was that the fish is quite tough and chewy - presumably from all the puffing in and out to intimidate other fish who aren't aware of the poison. You may think you've had Kobe Beef before - either in lollypop meatball and hamburger slider form - but you haven't. I won't ruin the dining experience and give away what it tastes like other than to say you'll know immediately, as soon as the meat touches your mouth, whether or not you've had Kobe Beef before. It's a distinct taste that's as different from a NY Strip Steak as chicken is...but it doesn't taste anything like chicken. A Kobe Beef set meal dinner will cost more than $100 so it's important to do a little research on where to dine. Most of the restaurants cater primarily to Western tourists as $100 for a meal is a bit pricey for every day dining, even in Japan. The highest rated place on TripAdvisor is near the Shin-Kobe train station - because most diners arrive in Kobe just for the beef then turnaround and hop back on the Shinkansen to Osaka or Kyoto. The Nakayamate-dori street area has a few more options - before or/and after dinner you could pop into a tachinomiya, a standing alone bar that packs as many Japanese businessmen as possible into as small a bar space as possible. Surprisingly tachinomiyas are not found as frequently in the rest of Japan. Once you've settle on a restaurant you still need to decide on the set menu or dining a la carte. The set menus are a good value offering a salad, appetizers, desert, and coffee but the Kobe Restaurants are centered around the Kobe steak and not as much attention seems to be placed on the accompany sets. Once you've decided on the set menu or a la carte you'll need to pick a cut of meat - sirloin or tenderloin - and a size 100ml, 150ml, or 200ml. When the meat came out it I couldn't help but touch it - Kobe even feels different...like a piece of wet clay that compresses when you poke it with your finger then decompresses once you remove your finger. At that point you sit back and enjoy the show of the chef cooking the beef in front of you. I asked to have the pieces cut a little bit smaller so that psychologically the show lasted a little longer but even with that it's a shame it can't last all night.